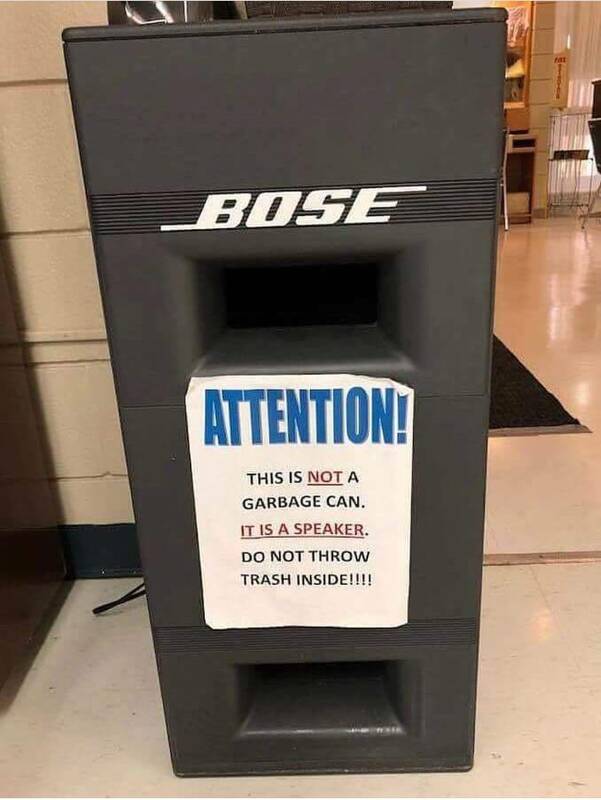 Funny Bose subwoofer. Designed like garbage bin.. Brilliant.... I wonder how many times they had to clean out the bin before they posted that sign. No... that is a garbage bin. Touche! Let me rephrase my question: I wonder how many demos they had to do before people started putting trash inside them? I fixed the sign to what it should have said in the first place. Post of the Year ! !